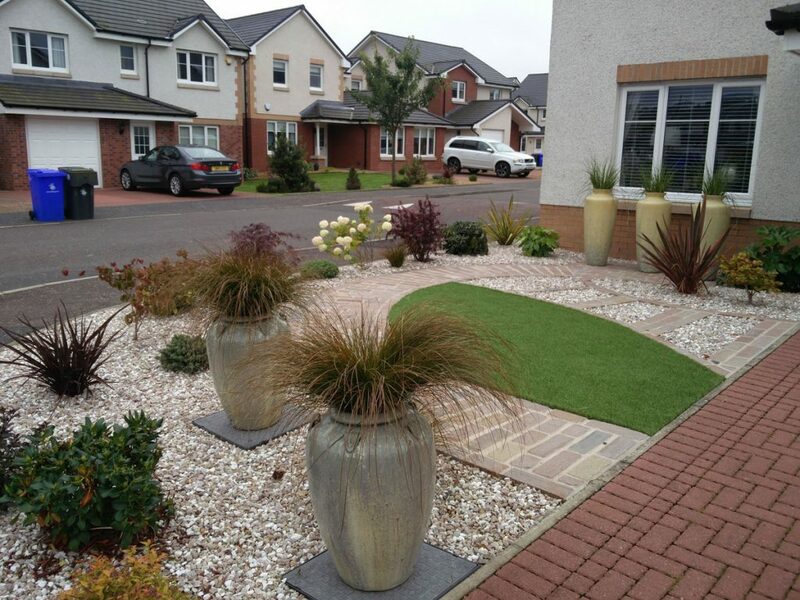 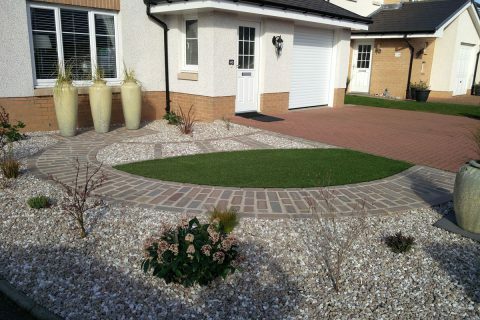 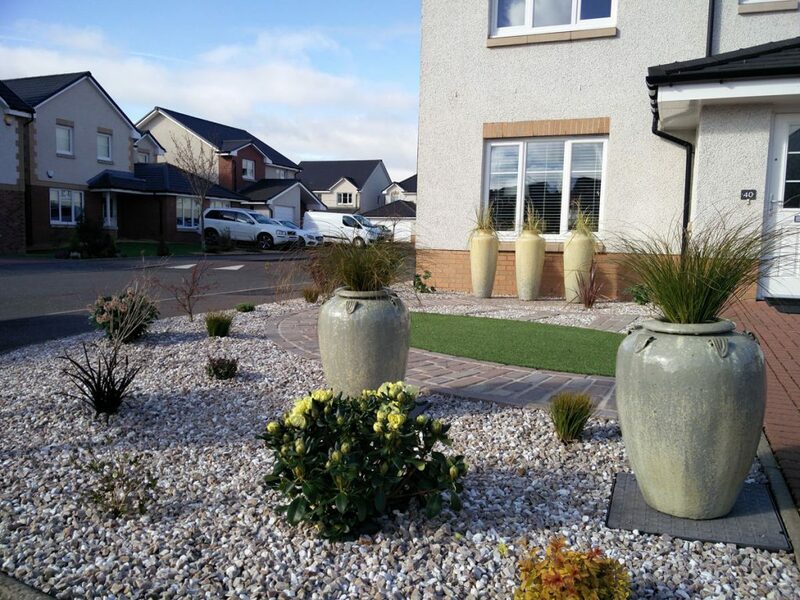 Our client wanted to transform her front garden from a piece of grass which was used as a short cut to a welcoming front garden which is low maintenance but packs a punch! 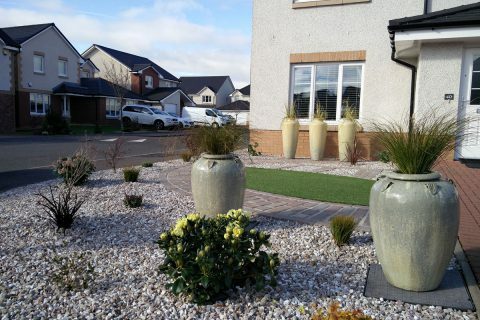 "You were right Michael, I do love the pots now and I am sure they will look even better when the surrounding shrubs become more mature. 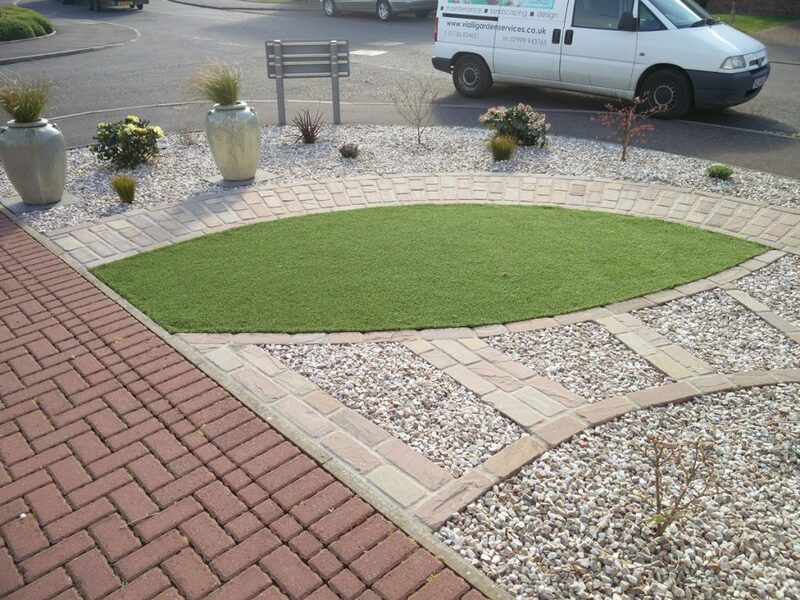 Once again thanks to you and your team for a perfect job, I will certainly be recommending you to other people." 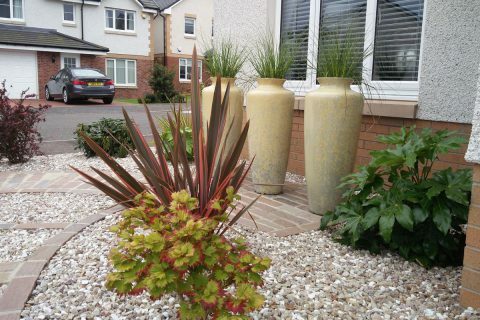 Even in a small space you can still create interest and journeys. 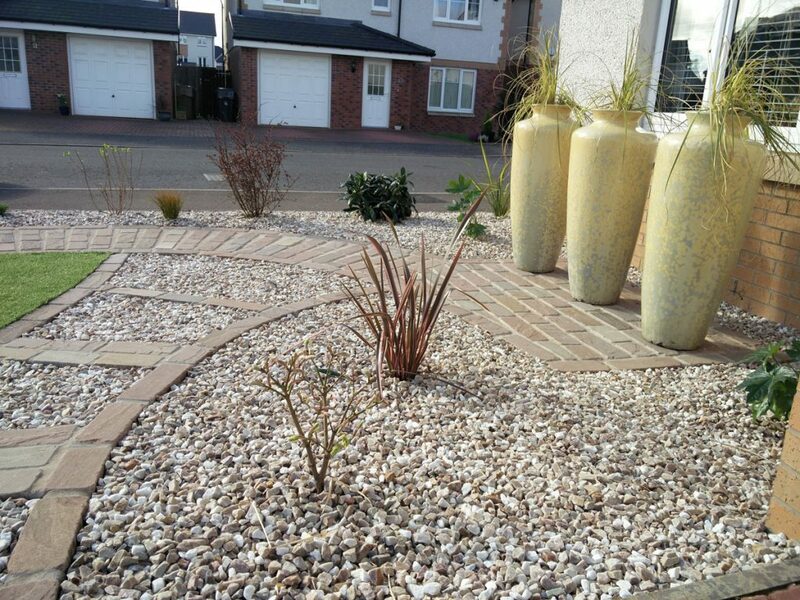 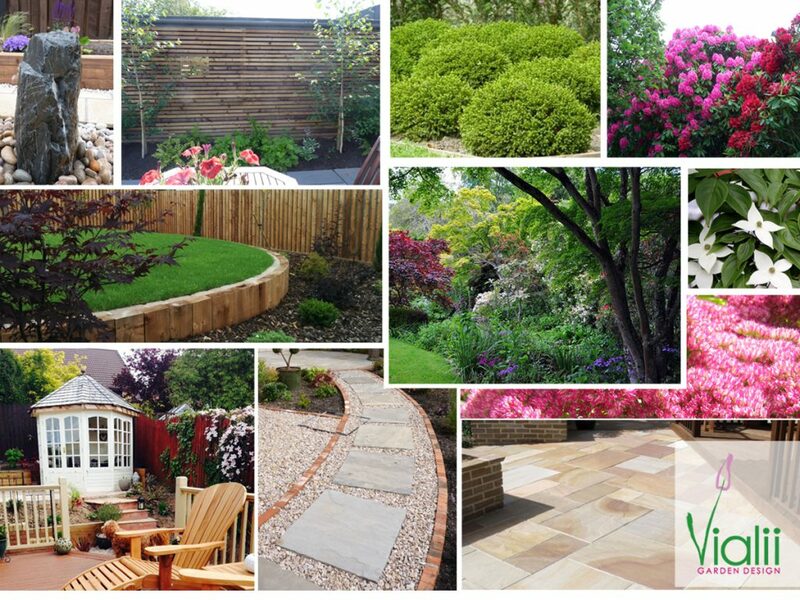 We created a small path around the front garden using sandstone setts allowing our client to wander through the planting. 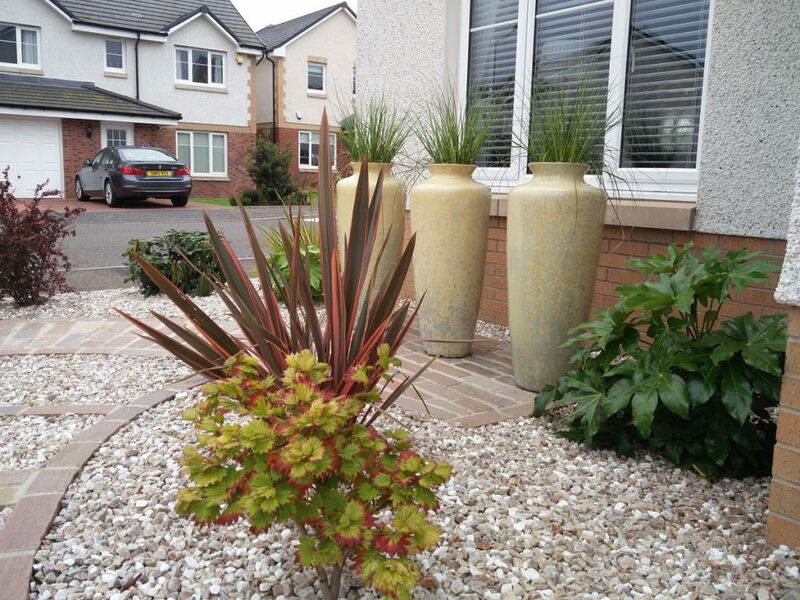 Under the window we placed three stunning ceramic pots creating a wonderful focal point within the garden. 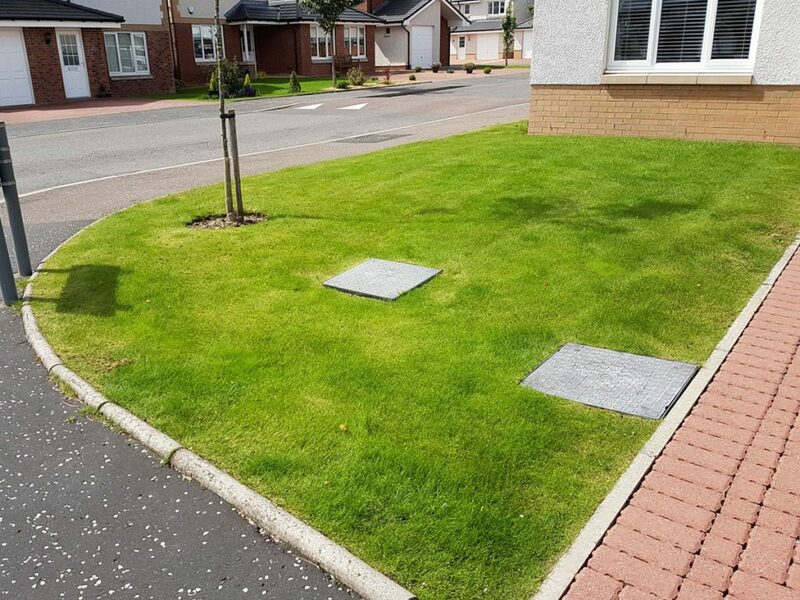 These are complemented with smaller ones which disguise unattractive manhole covers. 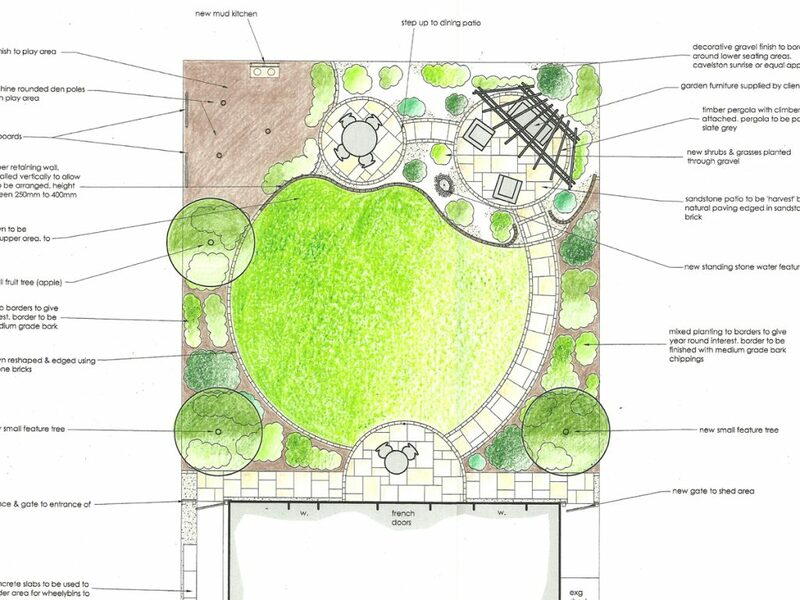 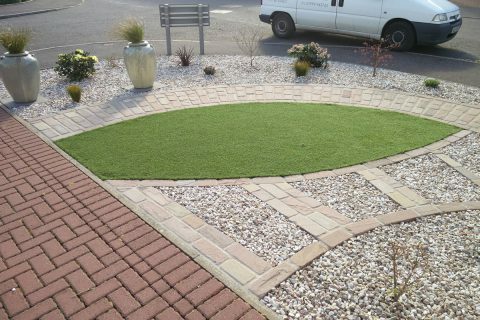 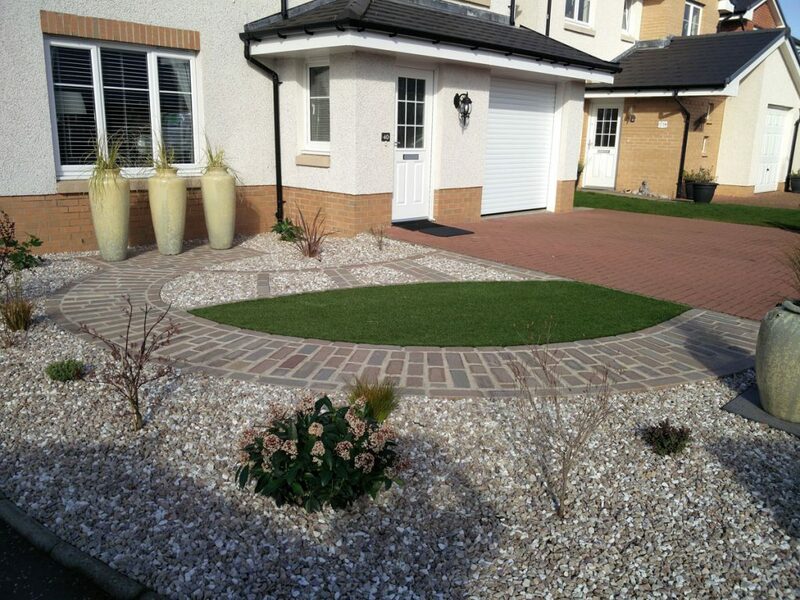 Some artificial grass adds green to the garden but keeps the garden low maintenance. 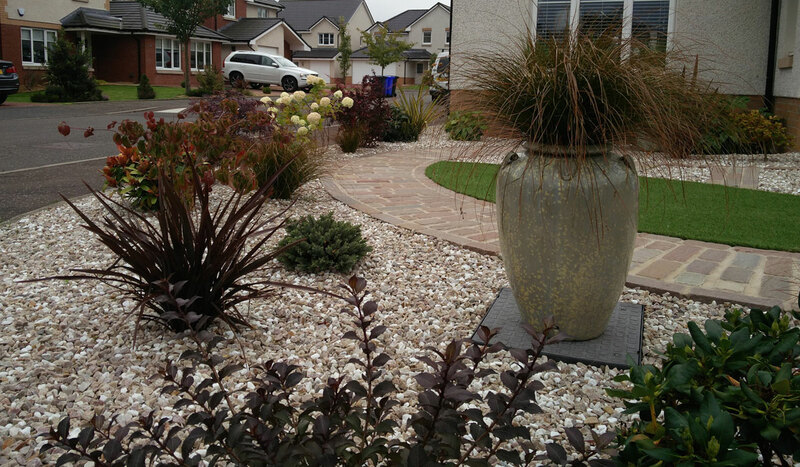 A lovely selection of planting including Weigela florida ‘Foliis Purpureis’, Spiraea japonica ‘Goldflame’, Acer palmatum ‘Osakazuki’, Cornus kousa ‘Beni-Fuji’ and Fatsia japonica provide year round interest whilst being low maintenance. 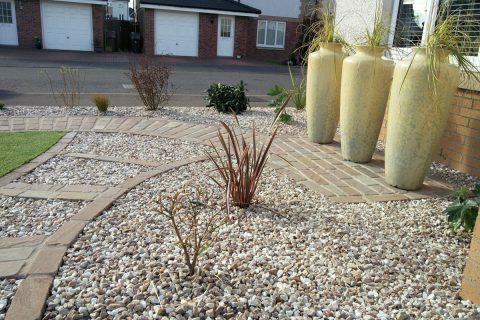 The garden is finished off with a decorative gravel to keep weeds at bay.